Trends in federal design and construction are sobering. Decreased budgets, complex procurement rules and stiff competition are forcing architecture, engineering and construction firms to find new strategies for succeeding in a diminished landscape. Yet, there are some bright spots in view. The conference is produced and sponsored by AEC Science and Technology. “There are bright spots ahead for firms that transfer their focus from the usual suspects – mega federal building projects - to new areas of opportunity,” says Dave Alexander, principal of Lincoln Strategies, LLC, and chair of the Conference. Trends in federal design and construction are sobering. Decreased budgets, complex procurement rules and stiff competition are forcing architecture, engineering and construction firms to find new strategies for succeeding in a diminished landscape. Yet, there are some bright spots in view. The Federal Design & Construction Outlook Conference, December 4, 2012, Washington, D.C. helps steer a course to success when attendees get face-to-face access to officials from federal agencies heavily involved in design and construction. 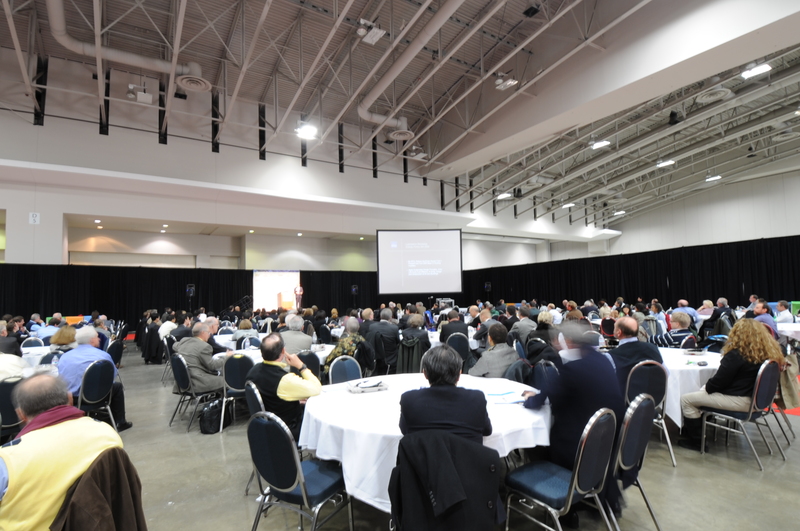 The Federal Design & Construction Conference runs concurrently with Ecobuild®America, December 3-7, 2012. Ecobuild®America is sponsored and produced by AEC Science & Technology ®. “There are bright spots ahead for firms that transfer their focus from the usual suspects – mega federal building projects - to new areas of opportunity,” says Dave Alexander, principal of Lincoln Strategies, LLC, and chair of the Conference. “Examples include renovation and rehabilitation of existing buildings, or modernizing buildings with new technology solutions. A building doesn’t have to be new to be lean, green and smart. Renovation, rehabilitation, and modernization can improve energy efficiency, or facilitate greater use of renewable energy. In a nutshell, while not as robust as it once was, the Federal Market it is still simply too big to ignore. Whether an architecture, engineering and construction firm is looking for new sources of revenues in the Federal Sector or entering the Federal Market for the first time, the challenge is to develop an effective strategy for the new reality. The strategy should capitalize on the government’s intensifying emphasis on energy efficiency, building commissioning, lean design, reducing life-cycle costs, inspection and repair services, and task-order based contracting, and the government’s emphasis on achieving small business goals. The Federal Design Construction Outlook Conference is where A/E professionals get the information needed to capitalize on these trends and develop informed strategies that will win in the fiercely competitive federal design and construction marketplace. Get face to face access to officials from federal agencies heavily involved in design and construction of federal facilities. Obtain actionable marketing intelligence – not just overall spending forecasts, but also insightful analyses of different niches in the federal agency designing and construction programs and what it will take to succeed in each. Learn from experts in federal marketing and sales. How can you select parts of the federal market where your firm has the best chance of success, differentiate your firm, get on the right teams, or lead a successful team for procurement of interest. Participate in events specifically designed for meeting and networking with industry colleagues. Registration is available at http://www.aececobuild.com/registration. America. Together they have a depth of experience in technology and event planning for the AEC industry, including creating and managing the former A/E/C SYSTEMS International conference and exhibition. The events cover the unique intersection where ecology meets technology. Proud member of: buildingSMART alliance™; Green Building Initiative; High Performance Building Congressional Caucus Coalition; United States Green Building Council; and Zero Energy Commercial Building Consortium.